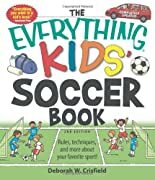 This section looks at how soccer fitness for kids can help your children get fit and active, by selecting the best soccer programs and making good lifestyle choices for the whole family. Soccer is a fun sport that can be introduced to kids at a very young age. It can become a lifelong sport as even adults have recreational leagues where they can play for years. 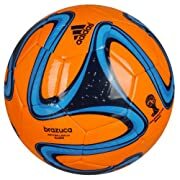 Soccer can also be played both outdoors and indoors making it an activity that can be enjoyed all year. With so many kids spending too much time on the couch playing video games and watching TV, soccer is a welcome activity to improve fitness. If your child is interested in playing soccer, you’ll want to make sure that he or she is ready for the physical demands as well as learning skills at an appropriate developmental age. The good news is that you can prepare for playing soccer at a very young age. Learning some basic skills can help build a foundation for future success in the sport. As kids get older they’ll need to develop more specialized skills. When children are really young you don’t need to worry about finding a highly competitive team or program. Young children should focus on building fundamental skills. For Pre-K kids you should look for a soccer program that does this. But it’s still important to start young. The earlier you introduce your child to soccer skills and playing on a team, the better time she’ll have later as she begins to compete more often. At this age you can look for programs to be coed with a mixture of boys and girls, though there may be some gender specific programs. This is a time when children are still developing their coordination and they should be supported in a developmentally appropriate program. You may notice that they don’t actually play soccer in this type of program. Instead, you may see kids playing games and doing silly things that are actually teaching skills. To keep the interest of a very young child a class won’t be able to spend too much time on just one thing. As children get older, though, they’ll start to work more on playing the game. You’ll start to see more drills and soccer games being played. You can also enroll your child in a team where she can compete with others in a league. It’s always best to expose kids at a young age to the fundamentals of soccer. But that doesn’t mean that older children can’t benefit from a soccer program. 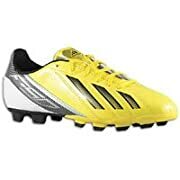 If your child is in upper elementary school you might want to look for a soccer class before starting him on a team. In a team environment, he’ll likely play with other kids who have been playing for a while and have more skills. But by starting with a class, your child can get the chance to learn the basics before moving on to a team sport. Beyond age, you’ll also want to be sure your child is in good health before joining a class or team. Many places require a physical before registering your child. You just want to make sure there isn’t a condition that could lead to illness or injury when performing strenuous exercise. Even if your child has a disability, you may be able to find a soccer program in your area that is specifically designed to help kids with disabilities play and enjoy soccer. Check with your local soccer association to find out if there is a program near you – or how to start one yourself. When it comes to gender, you may also have several choices. Some teams are co-ed while others are specifically for boys or girls. When your child gets older and starts playing on school teams, chances are they will be playing on gender specific teams. 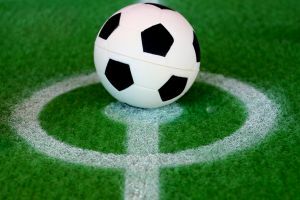 However, there are several examples of girls and boys playing together on soccer teams – even in a school environment. 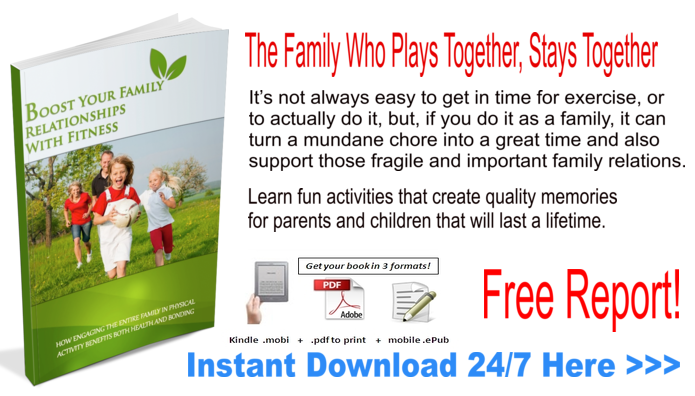 You’ll need to look at each program individually and decide what’s appropriate for your son or daughter. Until your child is in secondary school, you’ll most likely need to enroll in a community recreational league in order to play soccer. At the elementary level most schools don’t have sports teams. As your child gets older you can choose between school teams and recreational leagues. If your child is very talented and hoping to play soccer in college or professionally, you’ll want to go with the team that’s the best. If your child’s school team is excellent and will draw the attention of scouts it’s a good idea. But if it’s not a great team you may do better with a better performing team in a recreational league. Sometimes people make the mistake of assuming that kids can participate in the same kind of exercise programs as adults. But kids are still learning and developing, so it’s important to make sure your child’s fitness routine is tailored. Tip # 1: Have fun! Kids are going to learn best when they are having fun, especially the very young. If you make fitness miserable for them, your children will be less likely to stay fit throughout their lives. Making fitness fun includes playing games, having races, and kicking balls of various shapes and sizes. For soccer, it’s also great to play games when they can’t touch the ball or they’re out. It’s never good to rush into exercise without warming up the muscles first. This can lead to serious injury – even in young kids. Five minutes of walking, jogging in place, jumping, or high knee lifts can help warm up the muscles. These first few exercises should start slow and then build up to exercises performed more quickly. For soccer, the most important conditioning will help your child to run for long periods of time. 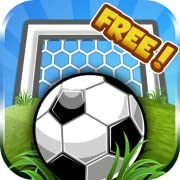 Soccer is a game that’s very aerobic requiring kids to run up and down the field over and over again. However, you don’t want to just have your child run for hours at a time to the point of exhaustion. Instead you’ll want to alternate aerobic activity. For example, a sprint could be followed by a walk. Then your child could jog or run for a few minutes and back to walking. It doesn’t really matter what order you follow as long as you alternate so that your child doesn’t get too exhausted by one activity. And you can let your child lead when it comes to how long to do each thing. As your child gets in better shape and grows stronger, it will be easier to do high intensity exercise for longer periods of time. Stretching helps your muscles to stay flexible and prevents injury. While you should never stretch cold muscles, you should always stretch after exercise when muscles are warm. It’s just as important for children to stretch as it is for adults. Make sure that your child stretches her whole body from head to toe at the end of an exercise routine. It’s important to have appropriate rest so that your child’s muscles can grow and heal after exercise. 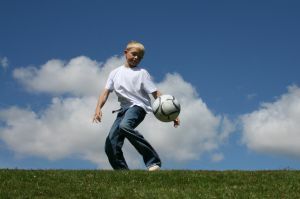 Make sure that your child gets a complete day of rest before a soccer game. But even if it’s not the day before a game, rest should be scheduled at least two days a week for muscles to recover. Rest is a necessary step in any type of training for athletes. When your child is training for soccer, you want to make sure that you take care of his dietary needs. Kids who are very active need good nutrition to help build muscles and keep their energy levels high. A healthy diet for active kids should include a wide variety of foods. And you should avoid some of the common trappings of a “kid food” that are overly processed and not beneficial for your child’s health. Whole grains are a better source of energy than refined carbohydrates. For example, instead of eating white bread, your child should eat whole grain bread. Brown rice, oats, quinoa are additional examples of whole grains. · Gradually mixing together whole grains with refined carbs can make it easier to transition to a diet filled with more whole grains. The more fruits and vegetables your child eats, the more nutrition she’ll take in. For some kids the only vegetables they get come from French fries and the tomatoes in ketchup. But these aren’t the best way to go. You’ll want to offer a wide variety of fruits and veggies to your child. Most children like foods like carrot and celery sticks. But you’ll also want to add more options. Serving vegetables at every meal will help. Cut them into smaller, more manageable pieces will help make the vegetable more appealing. Don’t forget a little cheese melted on top adds even more appeal. Fruits are generally easier for kids to eat and enjoy. Try to work with your child to try new fruits and vegetables so that she gets more nutrition. 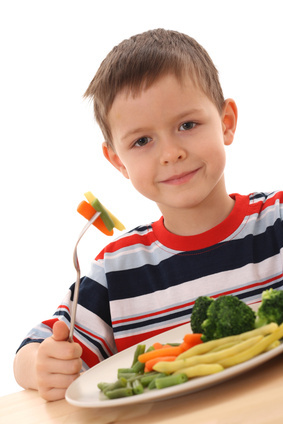 When your child is presented with many vegetables, he’ll be more likely to eat them. And if he’s involved in the growing or preparation of meals, he’ll also be more interested in eating what he’s created. Kids also need to have the building blocks for making muscle and keeping their blood sugar steady. Provide at least one serving of protein with every meal. Soccer is a sport that causes kids to sweat a lot. It’s important to make sure that kids have proper hydration for their health and stamina. Sports drinks are okay on occasion, but most kids will benefit the most from drinking water. Don’t wait until game day to load up on H20. It’s important that your child drink water every day to stay hydrated. When helping your child to train for soccer, you might want to include fun drills to help them develop skills. 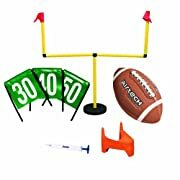 There are several that are great for building skills while keeping the activity from getting boring. Have children make a circle and mark the center. Set up several cones in a circle in the center. 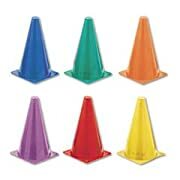 Have kids take turns kicking the ball to a partner on the other side of the circle while trying to turn over a cone. A variation of this drill is to have a player stand in the middle of the circle and try to get control of the balls as they go across the middle. Mark off an area for play and place cones in random places throughout the field. Have two players pass the ball as they maneuver from one end of the field to the other trying not to knock over any cones. This is a dribbling drill that helps kids learn to maneuver around each other. 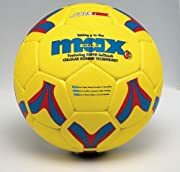 Mark off an area and give every player a ball. Allow them to dribble and move around as much as possible while not running into other players or other balls. Give all kids a ball and have them take turn shooting into the goal with you as the coach blocking the shots. Every child needs to stand side by side. This game works best with at least two players. When you shout red light the children should stop, when you call yellow light they should walk and when you call green light, they should run. You can do this without a ball as a warm up activity. Then give everyone a ball and have them dribble while moving correctly based on the command. All of these games are fun, but they teach fundamental skills and help kids get in better shape for soccer play. As children get older they’ll perform more technical drills, but these are great for beginners and young players. One side benefit of having kids involved in sports is they are at lower risk for making hasty decisions as they get older. They have more confidence and better fitness than if they weren’t involved in the sport. Soccer is wonderful because both boys and girls at any age can get involved. If you want to introduce your child to a sport that she can enjoy throughout her life, soccer is a great choice. Getting your child active in a soccer fitness program or similar activity will set him or her up for a lifetime of health practices. Teach the fundamentals of good nutrition and ingrain the benefits of maintaining a physical fitness regimen and your child will reap a lifetime of benefits. 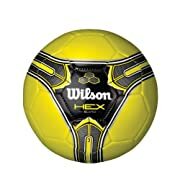 You can get your sport equipment and supplies online and have them home delivered to your door.. save time and effort! 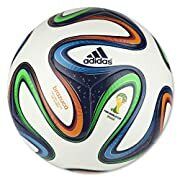 If you’re looking for some extra resources to help you train your child for soccer, there are many options on the internet. Here are some of the best websites for helping your child to get fit. 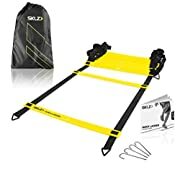 This is a site that contains many resources about fitness, nutrition, drills, and other tips. If you’re working with your own child or coaching a team, this site has many resources for fitness and practice. 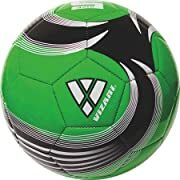 This site is most appropriate for working with older kids on specific fitness needs related to soccer. This is the website for the American Youth Soccer Organization. This is a great soccer resource that includes information for parents and coaches. This can also help you find a soccer organization near you. 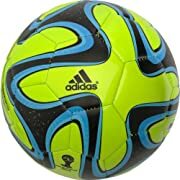 This is a website for parents of young children who are interested in getting started with soccer. You’ll find answers to the question of the week as well as articles on different topics in soccer. 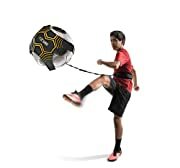 Soccer Training DVD for KIDS of ALL ages! 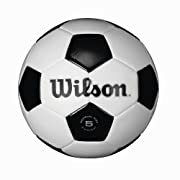 "Ball Control w/ Tasha-Nicole"
Are Soccer Classes for Kids Necessary? Back to HOME PAGE of this soccer fitness for kids section of the site.